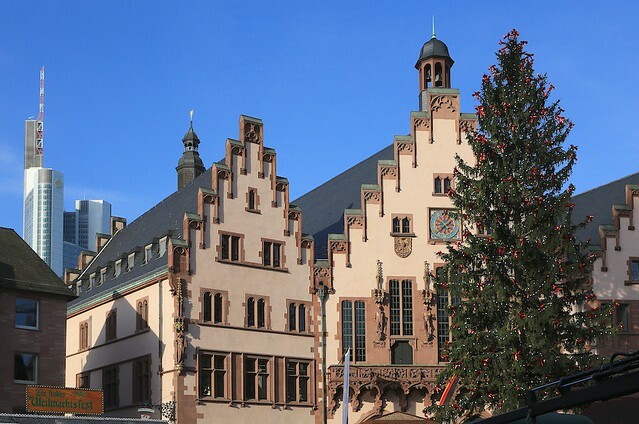 The 30-metre (100-foot) high Christmas tree provides a great counterpoint to the restored historical buildings at Römer and the smooth vertical lines of the Commerzbank Tower in the background, here at the Frankfurter Weihnachtsmarkt. 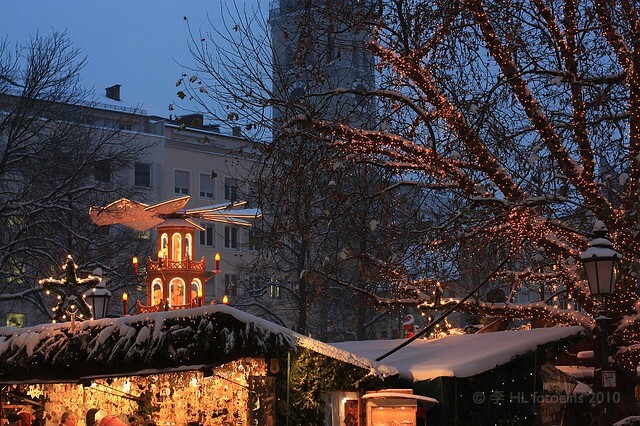 Seen more prominently now at Christmas markets, the Christmas pyramid is a bright landmark with historical and religious connections, calling people closer to the market. The visual call is very effective here at Marktplatz (Market Square) in Heidelberg. 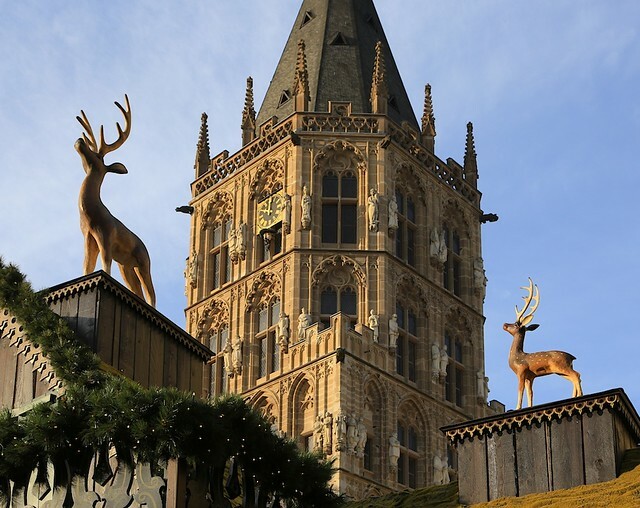 “Zum Hirsch” (At the Deers) is one of many market stalls, whose deers on the roof seem to surround the Rathaus (City Hall) at Weihnachtsmarkt Alter Markt, one of the largest markets in central Cologne. 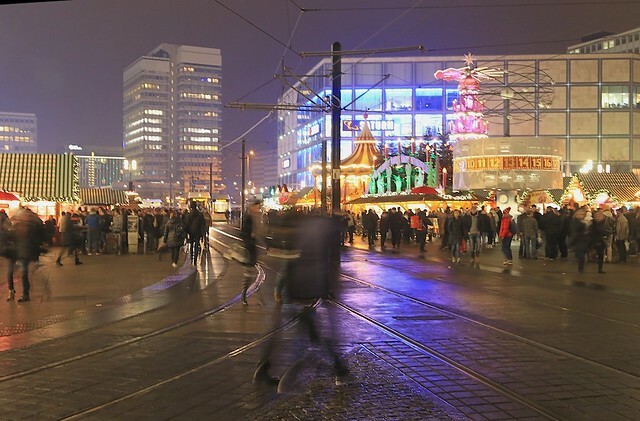 Only one week into the season, residents and visitors are out in full force in early December at the centrally located Leipziger Weihnachtsmarkt at Marktplatz (Market Square). There’s no holding back: whether it’s food, drink, or the purchase of Christmas gifts and decorations. 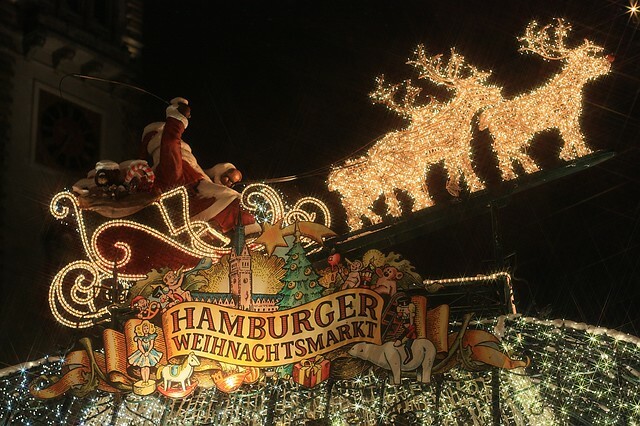 How, when, and where will you make your German Christmas memories? I made the featured image at the top in E on 28 December 2010, the shot in HH on 21 December 2010, and the shot in M on 1 December 2010. I made the photos in B, F, HD, K, L, SP between 24 November and 9 December 2014. I travel across the country on Deutsche Bahn trains with a German Rail Pass. Access to public transport within Heidelberg, Leipzig, and Berlin were kindly provided by the cities’ respective tourism organizations and local transport authorities. This post appears on Fotoeins Fotopress at fotoeins.com as http://wp.me/p1BIdT-6gA. Timo, I consider myself very fortunate to have even visited one, let alone markets in more than one town or city. Did you enjoy going to the markets this year? Happy 2015 to you and your family! Happy 2015 for you as well! 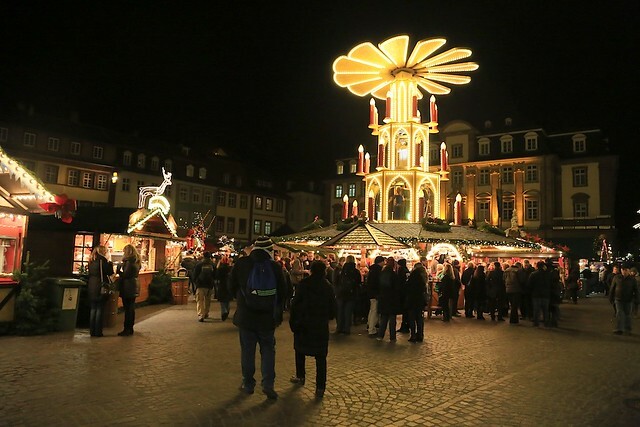 I have never been to a Weihnachtsmarkt yet, having only ever visited in summer and early fall. We’ll visit this spring and hopefully again in late November or right after Christmas. Maybe then I can finally sip some gluehwein! Hi, Bonnie. 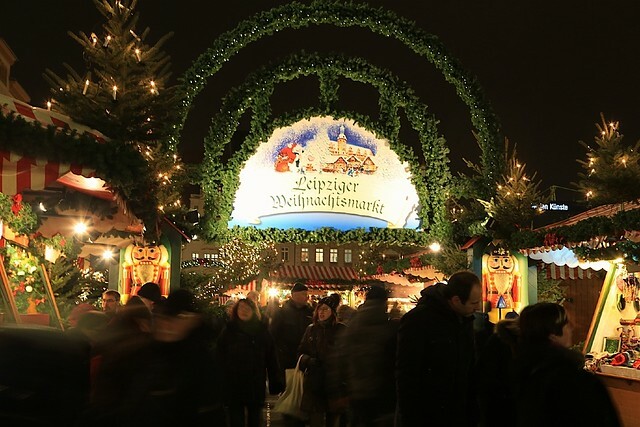 I highly recommend visiting a Christmas market if you can. People will highlight clear favourites, like those found in Nüremberg, Rothenburg ob der Tauber, etc. 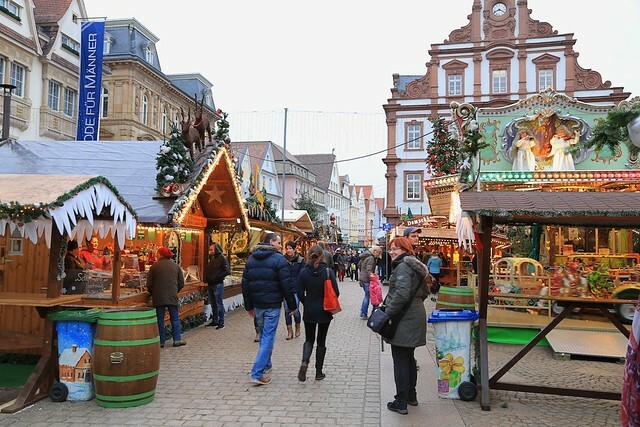 In whatever city you may be in November and December, find a smaller market as your introduction to the Weihnachtsmarkt and Glühwein. 🙂 Thanks again for reading and for your comment; happy 2015 to you!